These tips and tricks are for those who are new to game, and they will bump the average player up to Arena 6 within a week. Have you just started playing Clash Royale? Here’s a comprehensive guide for noobs to the first arenas. Don’t worry, you’ll get the hang of it soon. Make sure you read the rest of our guides and rate us below! Each player has three towers, two crown towers and a king tower. The goal is to either destroy more towers than your opponent or to take out the king tower, resulting in an automatic three crown win regardless of the health of the other crown tower. You each have four cards in your hand and another four in rotation ranging from 1 elixir to 9 elixir. You can hold a maximum of ten elixir. Make sure not to waste it! Occasionally you will come across GEMMERS (players who spend tons of money on Gems) even in lower arenas (1-5) and it’s really hard to beat them because they have Epic and Legendary cards in their decks. However they often lack skills, so you can still kick their a$$e$ 🙂 See how I beat this bozo with 4 EPICS and 3 RARES in his deck (I still don’t have most of those cards). Bottom line – MORE GG = MORE SKILL … so keep playing and be better than gemmers – skill will always prevail! In the beginning, you start with common (basic) cards, but quickly gain access to Rare cards and sometimes even find epic cards early on (like Baby Dragon). Here is how to use these cards with maximum efficiency and how to outfit your deck (stack of cards you use in each battle). Combos: Playing troops by themselves will not prove to be very successful in the long run. Try to come up with cool troop combinations like giant/witch or giant/bomber. Counters: Each troop in Clash Royale has a counter. Single target troops can be easily taken out by a swarm such as goblins or a skeleton army. AOE troops can be taken out by glass cannons like a Mini P.E.K.K.A or a musketeer. Direct Damage: Many beginners like to fireball or arrow the towers. This is stupid and a huge waste of elixir. Focus on using your spells on troops that are clumped together. Elixir Management: Don’t start off with a giant at the bridge. You won’t have any elixir to support it, and it will die quickly. 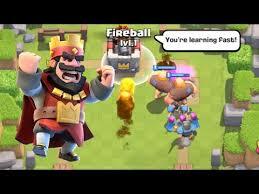 Instead wait until you have ten elixir and drop a tank or a slow troop behind your king tower to build up more elixir for a huge push. Towers: While three crowns may be enticing, you have to know when to go for two and when to go for three. If you know for sure you can get the king tower, then by all means, go for it! If not, try going for the second crown. It may not be quick, but you’ll have a better chance of winning the game. Chests: Don’t open your gold chests during the day. The schedule most players try to follow is 3/4 silver chests during the day and a gold chest overnight, so you don’t waste time and efficiency. Consult various resources before diving into the game. If you have a good base of knowledge, you’ll find it a lot easier to win and to get to higher arenas. Some resources include YouTube, Reddit, and the forums. Try to count your opponent’s elixir. While this may be hard at first, as you keep on playing, you’ll find it easier to do. Know when your opponent is low on elixir so you can catch them off guard with a quick push. Rely on your epics: Early on in the game, your epics carry much more weight than any other card you have. Use all the epics you can get your hands on as this will give you the best chance to win. Level up your cards and join a clan as soon as possible. Try to find a good deck, and start leveling up your cards from there. When you have higher level cards, your troops will win a lot of interactions they should lose. Join a clan as soon as possible so you can start requesting cards to help you level up faster. Be calm. This is something all players need to do, regardless of arena. Clash Royale is an especially frustrating game, and you will get mad. Don’t get too tilted. It will cloud your thinking and cause you to lose games you should’ve won. Know the Meta. For those of you who don’t know what the meta is, it’s the current OP cards or deck. Be sure you know what the best cards are. Check out my tier list for more details. These are the best decks that I can come up with based on the limited cards available in lower arena. Make sure to check out our deck guides as you get into higher arenas! Conclusion: These tips will help you start off way ahead of your competition. 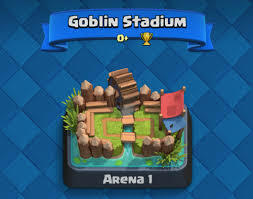 You should easily get up to Arena 6 by a week, and then you can keep on going. If you ever get stuck, you can always try using gems. While I wouldn’t recommend using gems in the lower arenas, by Arena 6/7, they become worthwhile. 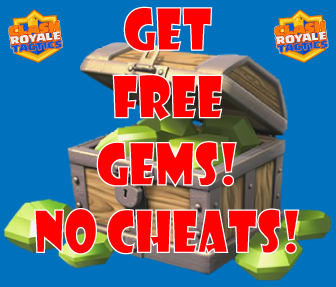 Gems are expensive, but there’s a way to get them for completely free. As always, hope you enjoyed and keep on clashing! The “Gemmer” is a trolley from arena 7 lol he is using three musketeers and mega minion!